The flagship beer of the BBC, Live & Loud! Rooted to a strong foundation of Gladfield malts and oozing nine NZ & US hop varietals this is the Lord of the double IPA&apos;s.
Like Wood Pigeons are attracted to the Kauri tree this beer will be a magnet for anyone who demands only the best beer New Zealanders can make. So give a cheer and a tribute to the Kauri, a true native found in forests around our hometown here in Birkenhead. Inspired by the local Kauri Forests that we have here in Birkenhead, Kauri Double IPA was built as a big, bold, awesome statement for the past of our local area which included Kauri Gumdiggers and Kauri Tree harvesters of the 19th Century. When it comes to hoppy beer&apos;s I have to put my hand up and admit I am a major fan of them because I really enjoy the bitterness and flavour that it punches into the beer. This is the second beer I have tried from the Birkenhead Brewing Co and I have enjoyed them both. 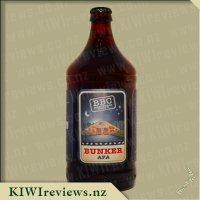 The first one was the Bunker APA which I loved and found to be an excellent beer but the Kauri Double IPA takes the lead as being a better beer in my opinion because it has a stronger prominent hop flavour that just soaks into your taste buds and resonates everything a beer should be. I popped the bottle top off which gave a crisp release of pressure from the bottle and poured myself a handle of the deep golden hued beer which left a nice head of froth. I took a sniff of the beer which I don&apos;t normally do and found that the aroma had strong hoppy notes and a welcoming sweetness. 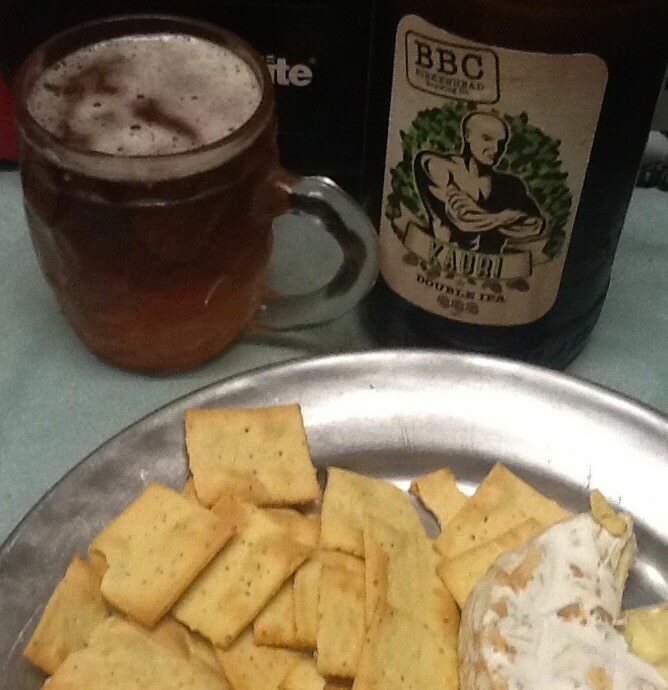 I took a big mouthful and swallowed it happy with the taste of malt and hops which linger long after finishing. I noticed on the labelling that they have stated this beer to be Big, Bold and Awesome and they are absolutely correct. 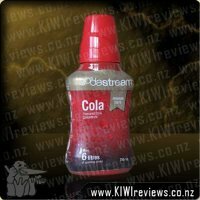 This comes in an 888ml bottle which to me is a fantastic size if you are the type of person who likes to share around or cannot be bothered always having to replace your bottle with another one as they don&apos;t hold enough. 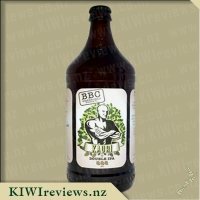 This beer is made up of Gladfield malts and nine New Zealand and US hops which give the beer it&apos;s unique flavouring and at the 888ml sizing with 7.6% alcohol, it equates to 5.3 standard drinks. This is defiantly a beer I would purchase without hesitation and would be welcomed into my fridge even if I had to throw away vegetables to make room. I recommend this beer to people over the age of 18 obviously and to whoever like their beers strong and hoppy. I have had the pleasure of trying a number of beers over the years, and I have found my preference to be quite clear - I normally like my beers to be balanced or a little sweet, clear and light. 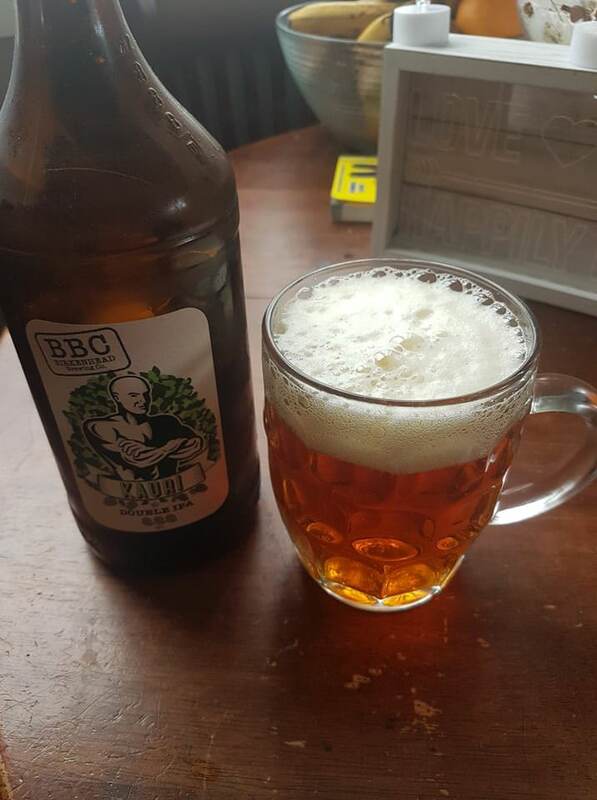 I&apos;m not usually one for the more hoppy beers - the herbal notes aren&apos;t in line with my preferences for a drinking beer - but I have found that such brews are wonderful as part of a casserole or stir-fry sauce. With that in mind, and a cold night making itself felt, I lit the wood burner in the lounge and while it got up to a steady burn, I set about preparing the slow-cooker. In went some diced beef, chunky-chopped carrots, parsnips, potato, kumara, beans, onion and some courgette, a can of tomatoes, a rash of herbs and spices, and about half a bottle of this brew. Because I was using my Quarter Acre pot, I set the pot on top of the firebox to collect some heat before going into it&apos;s insulating shell for the long, slow cook. Fast forward 6 hours and the casserole is getting there. I throw in a couple of cups of medium-grain rice and set it back to chug away for another 3 hours. Finally, it&apos;s ready. A chilly day makes the perfect time for a big bowl of healthy, hearty casserole. The flavour was amazing. The beer gave hints of mushroom and a rich umami (savoury) hit to the meal, adding a lot of depth and texture to the flavours without drowning out the herbs and spices. Having made this same dish in the past, the same way, but using red wine instead of beer, I can tell you the meat was even more tender and didn&apos;t pick up any bitter notes from beer. To round things out, I decided to risk it all, and poured myself a glass of this brew direct, to accompany the meal. I&apos;m very glad I did, as the hoppy notes and bittersweet grassy after-taste that lingers after a satisfying mouthful was a delightful counterpoint to the sweetness it imparted to the meal. Overall, while it&apos;s not going to convert me to these stronger brews, this beer could start to grow on me as a drinking beer, given time. In the short-term though, I can see myself happily using it in my casseroles and even savoury-mince dishes instead of red wine or port. I can&apos;t eat mushrooms because of the reaction I have to them, but I do respect the flavour in some dishes, such as Stroganoff, so this could be the right beer for me to use to replicate the flavours of mushrooms without including the bits that give me trouble. For that alone, I think it&apos;s a remarkable beer indeed. I&apos;m one of these rare people that hates beer. I&apos;ve tried it numerous times in the hope that I&apos;ll change my mind but unfortunately I haven&apos;t. My husband on the other hand loves his beer and is definitely someone who prefers quality over quantity. He loves his boutique Pale Ales and when he saw this bottle his face lit up! 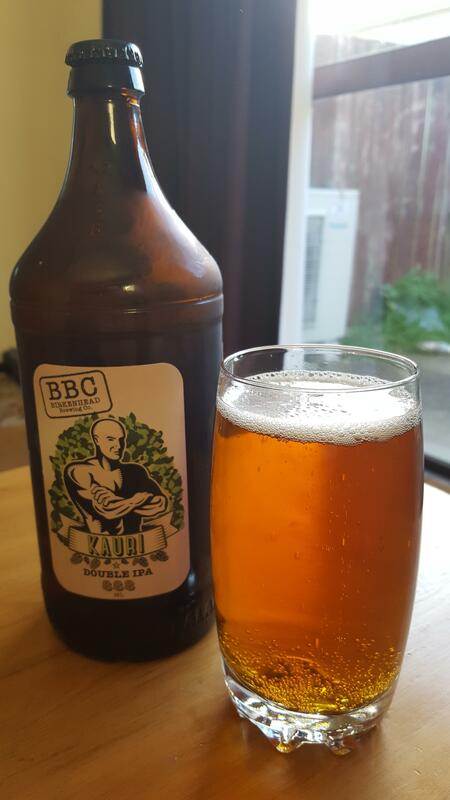 BBC Kauri Double IPA comes in a whooping 888ml brown glass bottle which I&apos;m loath to throw away. I must admit I found the picture on the front is a little confusing but maybe that&apos;s just me! After storing the bottle in the fridge for a day, my husband decided that as it was a crown bottle top he would have to drink it in one evening so it &apos;didn&apos;t spoil!&apos; I had a quick sniff and detected some lovely fruity smells before hubby poured it into a glass. 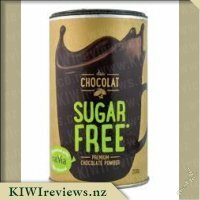 It had a lovely rich colour with a nice frothy head and after taking a big swig, my hubby had a big smile on his face and said it was absolutely delicious. Although the bottle states it&apos;s approximately 5.3 standard drinks, my husband got 3 good glasses out of it. He said that although it did not taste like it was 7.6% ABV, after a couple you could definitely feel it. Actually, after drinking a bottle of this beer he was drunk and kept proclaiming how awesome this beer was. After a little lay down, I found him on the computer seeking out where he could buy this beer and he couldn&apos;t stop raving about how good it was. He admitted that it was a shame he drunk it all in one night and it would be good to share in a social setting. 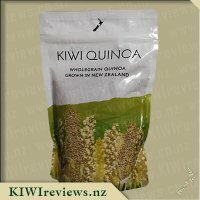 The label says the IPA oozes nine NZ and US hop varieties and claims it is a &apos;magnet for anyone who demands only the best beer New Zealanders can make. 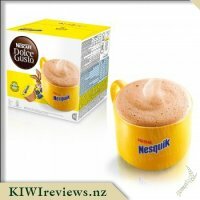 My hubby definitely agrees and has already found a local supplier! Both my partner and I enjoy sampling beers together. I am certainly still very much an amateur when it comes to what I have tried and what I like, but given the chance I will always try a new beer that I haven&apos;t come across before. 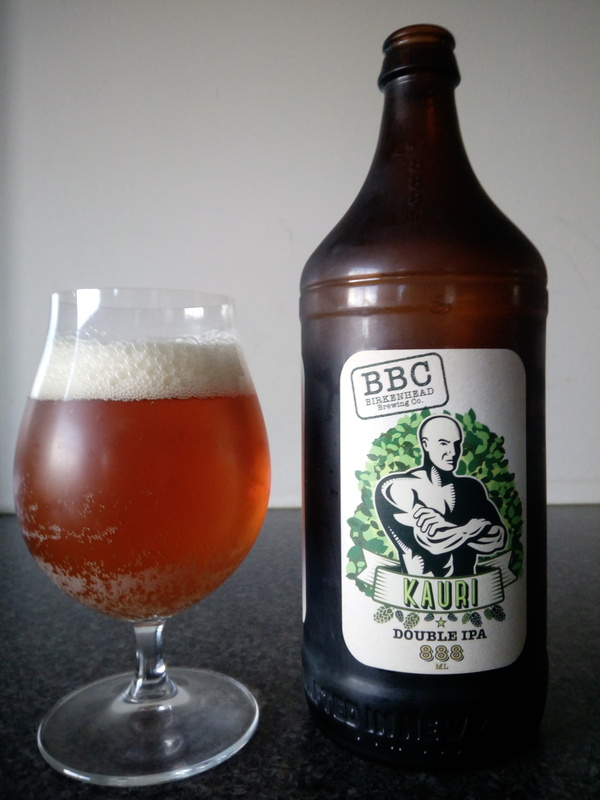 Hence the reason that I put in a request for this BBC Kauri Double IPA. However, I have to be honest and say that I didn&apos;t read how big the bottle was and got quite a surprise when I opened my parcel and found such a big bottle inside! 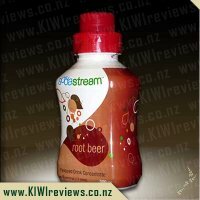 I didn&apos;t find the label very appealing, however it is simple and I like the colours used - it certainly fits with the natural idea that being a kauri beer gives. The shape of the bottle is quite nice, it is easy to hold and I love that it is a glass bottle with a crown top. Luckily we didn&apos;t have to dig far for a bottle opener - some people would struggle to find one these days with many similar products having a screw top! Upon opening the beer and smelling it my first response was that it smelt very fruity. 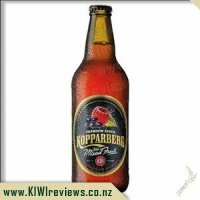 It reminded me a little bit of a fruity beer I have tried recently from another beer brand - one that I really enjoyed so I was a little more excited that it would be something I liked. As my partner poured it into a glass for me I noticed that it got quite a nice frothy head on it, it certainly looked like a nice beer! We had had it in the fridge for a couple of days prior so it was nice and cold, just how I like my beer. Trying it I noticed that it was a little more bitter than the smell suggested but still had a bit of a sweet tinge to it. My partner said that he really likes it and it would be one that he would buy again. I am more of a larger fan, but this certainly wasn&apos;t unpleasant. 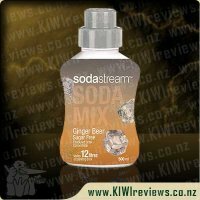 I think I would prefer it a little more as a shandy, adding in some lemonade just to sweeten it up - but I do this with a number of beers as I&apos;m not really a huge bitter fan. It is one that I would buy again, and would certainly buy it to gift to others (as many friends in my friends group love craft beers so presents are often based on beer!). The price seems very reasonable, especially when thinking of the price I&apos;ve paid for similar products recently. I would like to keep an eye out for other varieties by this company to give them a go too. My godfather owned a pub! When I was a child, my father and I used to visit him frequently in his Auckland establishment - the now long-gone Aurora Hotel which stood in Federal Street, between the cathedral and what is now the site of the Sky Tower. It was an old-fashioned four-storey building with rooms on different levels, staircases that led to nowhere, and the most magical of cellars which was reached via a solid ladder. The bar itself - no women permitted! 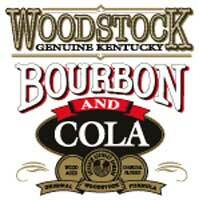 - boasted sawdust on the floor and a clientele of jovial drinkers trying to preload before the 6 pm curfew. At 6.15 pm, the outside doors were locked and then the fun started. The hotel guests and my godfather&apos;s own family were now allowed the run of the place, and this included trips up and down the ladder to visit the beer vats and the resident cook who catered for the residents. These meals were hearty, meat and potato based, designed to satisfy the hungriest labourer, and they were accompanied by jugs of draught bitter to wash them down. All of these memories came back as soon as I removed the cap from the Kauri beer. No modern screw top; a good, old-fashioned crown cap and a solid glass bottle. And the smell! I was transported straight back to the sawdust and dark cellar in Federal Street. For many years I had not encountered the aroma of real beer, but this was it. Even before tasting it, I knew that I was going to enjoy it. I poured a glass very carefully, making sure I did not overdo it and end up with too much froth, and took my first sip. It was just as good as the smell had promised: full, almost like a strong brown ale, and with the suggestion of a variety of flavours contributing to the final effect. I drank that glass straight down! Just in case I had overestimated the wonderful effect, I replaced the cap on the bottle and took the rest of it to my daughter&apos;s house so she and my son-in-law could try it too. 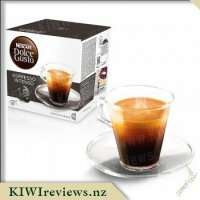 But they were just as enthusiastic: both of them really liked it and said it was something they would certainly drink. As a bonus, the beer had held its fizz overnight - something that would not have happened in the old days. I got the impression that the crown cap was a new design as it did seem to clip back on quite neatly. They are wine drinkers whereas I have always preferred beer anyway, so it was great that they liked it just as much as I did. We talked about the price. The pair of them thought it was quite costly, but when compared to a bottle of wine which would normally be around 750 ml, the cost falls into perspective. I estimate there would be four good sized servings in a bottle, possibly five, so I would not have an issue with paying the price. 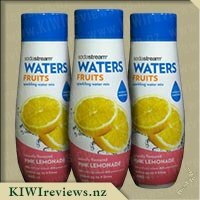 I will definitely be looking out for it as it would be a good product to enjoy on a hot day. I love the bitterness which strikes just the right balance between too much and not enough, and the full-bodied flavour which you don&apos;t find in many lighter beers. 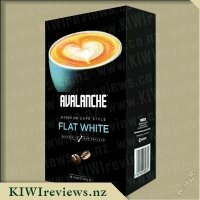 Now I am looking forward to trying other varieties in the range as well. Getting this bottle out, the image immediately caught my eye though I can&apos;t say that I love the picture or that it would make me want to take a closer look but that&apos;s the beauty of being a reviewer. Popping it open I could immediately smell that it was going to be more bitter than its cousin, which I had already tried, but I wasn&apos;t out off by the smell. Glancing at the back I saw that this has a very high IPA, coming in at 65-70 so I was concerned this bitterness would be too strong for me and so only pored myself a small serving to drink. It foamed beautifully as it was poured out and has a lovely golden colour to it. Giving it a taste, I did find that the bitterness was rather strong but funnily enough, not as strong as I was expecting and so it wasn&apos;t too bad and I found myself, albeit very slowly, finishing off my small amount. I didn&apos;t want to leave it at that though, so I poured myself another small amount and then added some tropical fruit juice, at a ratio of two to one, roughly. 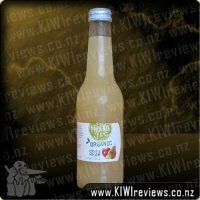 It didn&apos;t create an overly pleasant drink but it wasn&apos;t horrible either, I found myself able to easily finish the drink though I didn&apos;t like the initial aftertaste, the bitter didn&apos;t hang around for long. 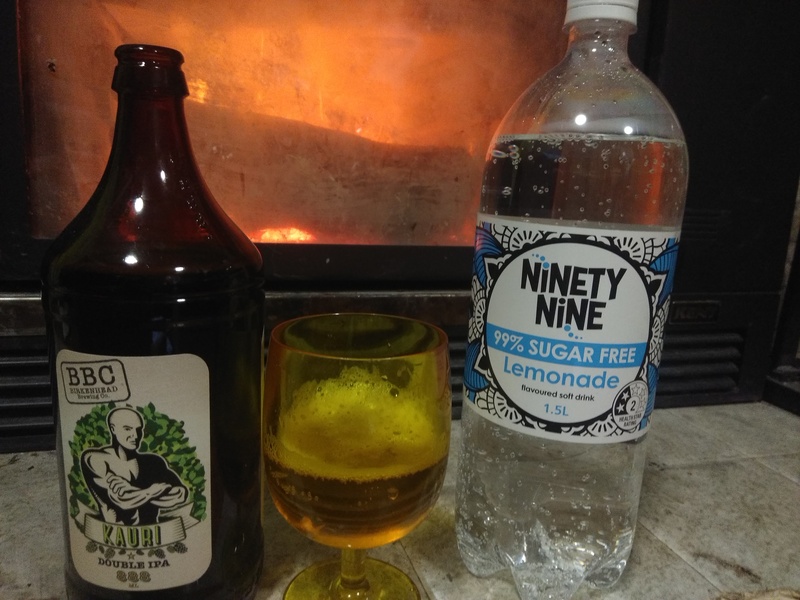 I then went for the traditional shandy, beer and lemonade, going for the same ratio as above, the lemonade completely offset the bitterness of the beer but it dulled the flavour, so I didn&apos;t enjoy it as much. While I must admit that I did actually like it more than any other beer I&apos;ve ever tried, I won&apos;t be buying it for myself, however... Next time my mates invite me and the kids over for a barbie I&apos;ll pick up a bottle of this to share with them. 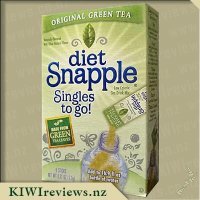 New Zealand pears and apples combine forces in a crisp, sweet blend.